Luke Bryan and Miranda Lambert won big Sunday night at the 50th Academy of Country Music Awards. Bryan, this year's fan-voted entertainer of the year winner, beat out Lambert, Garth Brooks, Jason Aldean and Florida Georgia Line for the evening's coveted honor, presented by Aerosmith frontman Steven Tyler. Looking thrilled about the win, he said, "I'm up here with Steven Tyler, thank you! 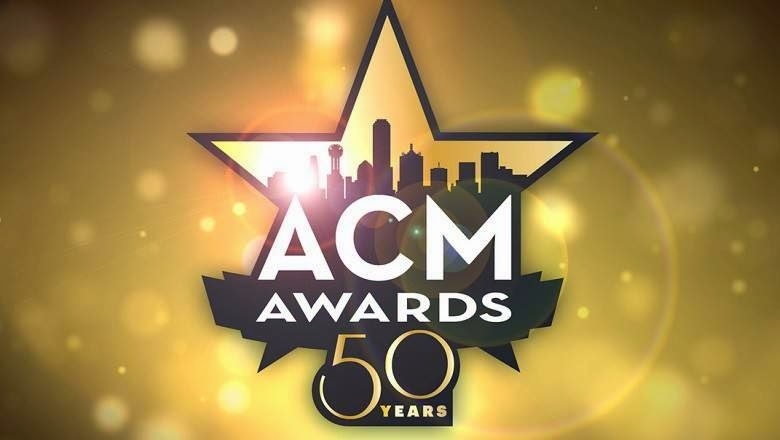 Thank you my wife, my kids at home...my fans, country radio...."
Lambert turned out to be a very familiar face at this year's ACMs, scoring female vocalist of the year, song of the year for "Automatic" and album of the year for "Platinum." She even seemed surprised by all the wins, at one point saying, "I don't even realize what's happening tonight." The Academy of Country Music Awards didn't waste any time getting straight to the music on Sunday night, with Eric Church and Keith Urban kicking off the show paying tribute to veteran singer Merle Haggard. The country heavyweights got things underway with a crowd-pleasing performance of "Pledge Allegiance to the Hag" and "Raise 'Em Up." Reba McEntire and Taylor Swift were both presented the Milestone honor. For a complete list of winners, click here!